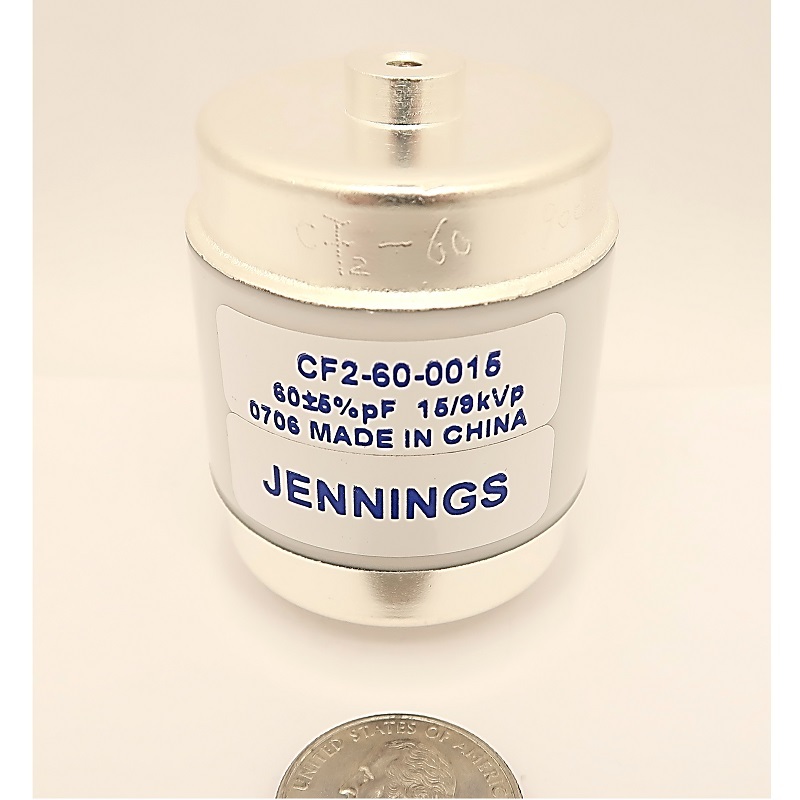 60 pf, 15 KV Peak, Jennings CF2-60-0015 NEW - Max-Gain Systems, Inc. 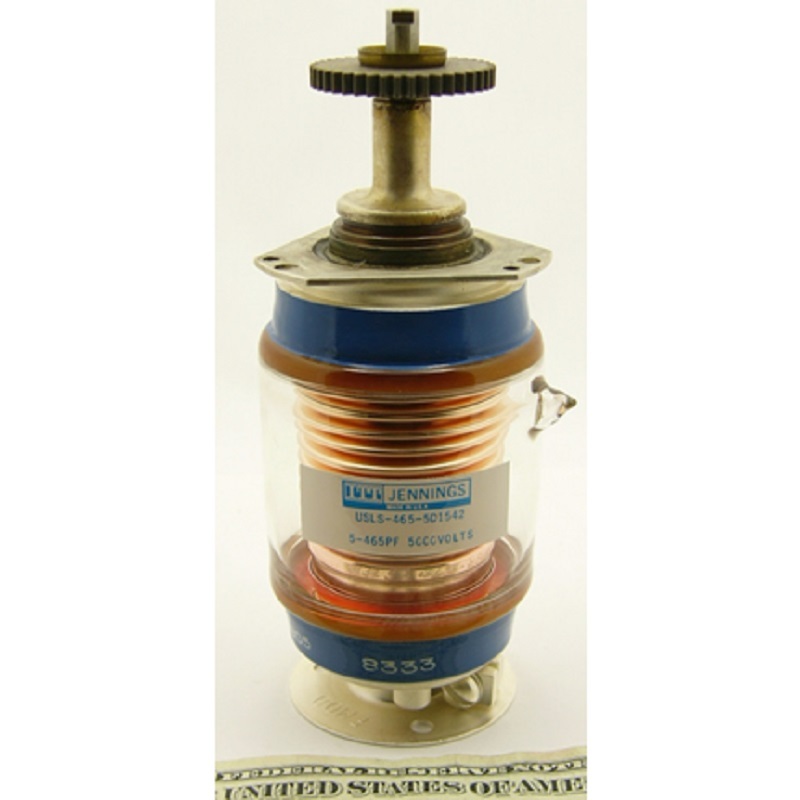 The capacitor is a Ceramic, FIXED capacitance, vacuum capacitor. 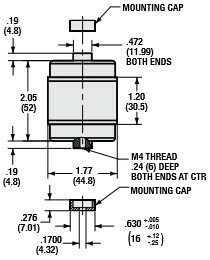 60 pf capacitance rated at 15 KV peak voltage. These are BRAND NEW units in factory boxes.